Flowering quince, Japanese quince, japonica. A spreading deciduous thorny shrub with rounded dark green glossy leaves. 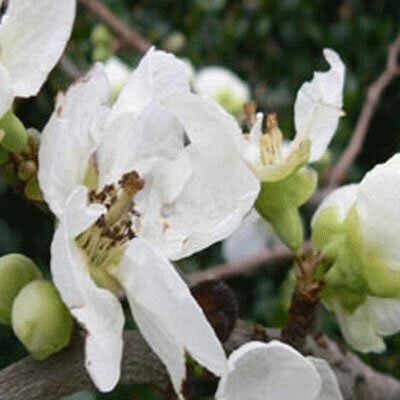 Clusters of pure white flowers are borne in spring, followed by green yellow edible fruits. Height: 2.5m. Spread: 5m. Flowers from April to May. Fruits from August. Deciduous. Hardy.